Girls, we all love doing up our hair right? Especially as there are so many trendy hairstyles these days, that we cannot stop our self from mastering it. The downside of this is that we are using so many hair styling tools to achieve different hairstyles and in the process we are damaging our hair. 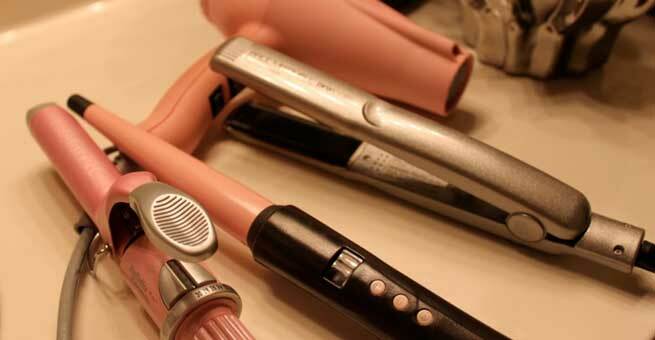 Blow dryers, straighteners, curlers all these tools damage our hair to death. It may not be evident initially however the damage will show up eventually. This can be avoided completely if right steps are taken at the right time to protect the hair from the heat. Also Read – Why It is Important to Trim Your Hair? Always use the hair styling tools on dry hair if you want to avoid damaging the hair. This is because the heat from the blow dryers and flat irons breaks down the hair’s hydrogen bonds which will affect the hair. Hair styling tools are not too expensive hence we can afford to buy a good one, that’s worth our hair. The tools need to have different settings, the cheaper ones may not have more settings in terms of temperature, which may give just one temperature throughout. When it comes to flat irons, make sure the plates are of high quality. The technology has advanced to an extent of producing less damaging straight irons. While choosing the curling irons keep in mind the size and shape of the curl that you want. The one with a smaller barrel will be great if you want tighter curls and the one with a larger barrel will help you to create bigger loose waves. As far as blow dryers are concerned, the best is the one that has a nozzle attachment. This helps the even distribution of the heat on the hair. No matter which hair styling tool you want to go for you must know your hair first and then go for the right tool for your hair. If your hair is thin or fine, then you should use the lowest temperature however that does not mean if you have thick hair, you have to choose high temperature. High temperature has to be avoided or chosen only on rare occasions. Hold the blow dryers and flat irons at a fair distance from your head to avoid direct air on the head. 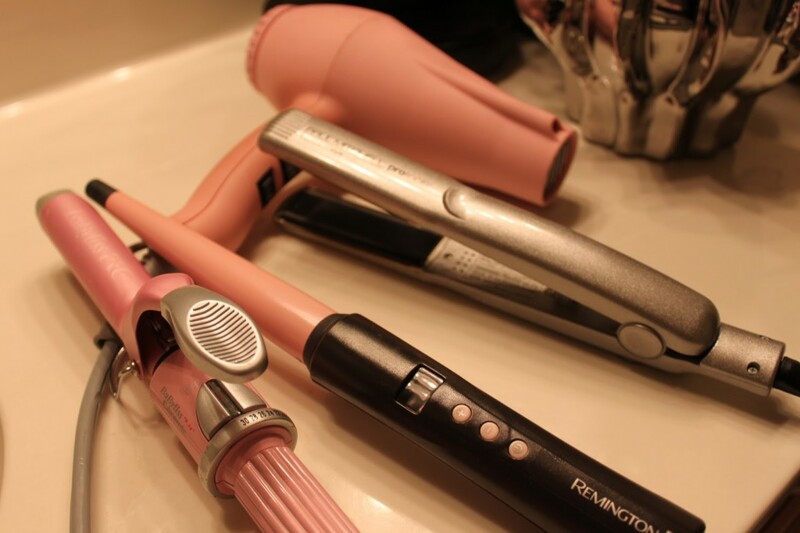 The blow dryer and flat iron needs to be held at 6 to 10 inches away so that the air is directed down the hair shaft. Make use of the diffuser attachment whenever possible to promote even heat distribution. When you use a flat iron, decrease the ironing tension gradually as the hair near the ends are too vulnerable to heat and will get damaged easily. Keep the hair styling tools moving and make sure you are not leaving it on the hair for more than a few seconds. It is very important to protect your locks before using any heat styling tool on the hair. There are several hair products available in the market that is specially made to protect your hair from heat. Just make sure the products contain silicon, as it forms a protective coat on the hair. The best way to protect your tresses is to save the use of these hair styling tools for special occasions! If you are addicted to it then make sure you oil your hair, use a good shampoo and conditioner on your hair regularly.